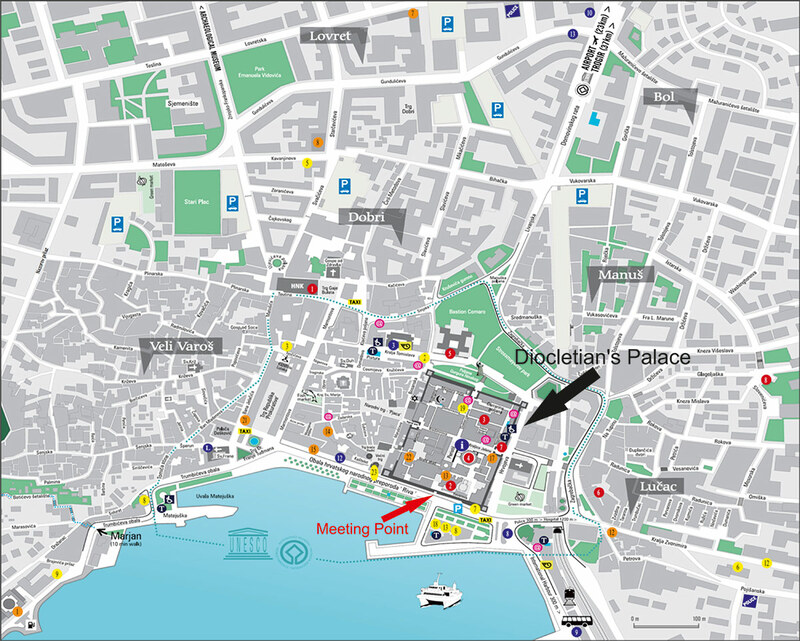 Our meeting point is located close to all the major hotels and apartements in Split center. If your accommodation is away from the center, we can arrange pick up service. Pick up can also be arranged from other cities like: Trogir, Omiš, Kaštela, Brela or Makarska or islands like: Brač, Šolta or Čiovo. When you get to our meeting point, you will meet our staff there, and they will take you to the boat then (2 minutes walk).